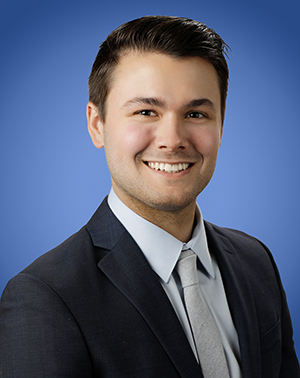 Bradley R. Sena is an Associate in Lozano Smith's Walnut Creek Office. Mr. Sena assists clients in the facilities and business aspects of education law. Prior to joining Lozano Smith, Mr. Sena specialized in real property litigation with a focus on representing property owners in state and federal eminent domain proceedings. He is experienced in all aspects of preparing cases for mediation and trial, including by drafting pleadings, mediation and trial briefs, and settlement agreements; drafting and arguing applications, motions, and oppositions in court; propounding and responding to discovery; and participating in expert disclosures, mediations, and pre-trial conferences. Mr. Sena also has experience working as a law clerk where he researched and briefed a wide range of legal issues, including in toxic tort, complex business litigation, environmental law, and copyright law. Mr. Sena received his Juris Doctor from The Ohio State University Moritz College of Law, and earned a Bachelor of Arts in history, with a minor in sustainability from the University of Notre Dame. While in law school, Mr. Sena was a managing editor of the Ohio State Business Law Journal, and earned CALI awards in Oil and Gas Law and American Legal History.